Autumn is in full swing and as beautiful crisp leaves tumble from the branches above and Christmas gifts begin to adorn the shelves of every supermarket, we start to turn our attention towards winter time. But what’s the best window covering for your home during these colder months? The main benefit of shutters during winter is to keep the heat in and reduce energy bills. Approximately 25-50% of all heat escapes out of the windows, so regardless of how long you keep your heating on, you can be wasting incredible amounts of warmth and money. Plantation shutters create a barrier which prevents the heat from escaping, proving a good investment in the long run. When night draws in, privacy can be invaded. Traditional blinds don’t provide a great deal of privacy and you may find passerby’s catching a peek of you watching television. Plantation shutters offer total privacy, providing a barrier that is 100% effective, so your family can cosy up together in the privacy of your own home. Most people spend more time in the warmth of their home during the winter months, which can often result in more cleaning. Shutters require little maintenance and hardly any cleaning – just a quick wipe down now and again – so you can spend more time with your loved ones. 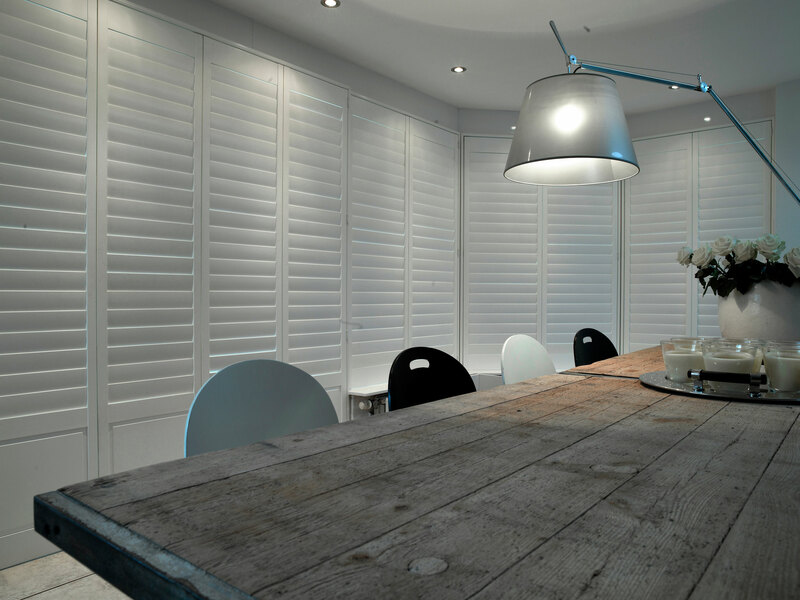 If you would like more information on plantation shutters, please contact Totally Shutters today on 0845 299 7757 for expert advice and guidance. All shutters from Totally Shutters come with a 5-year guarantee. 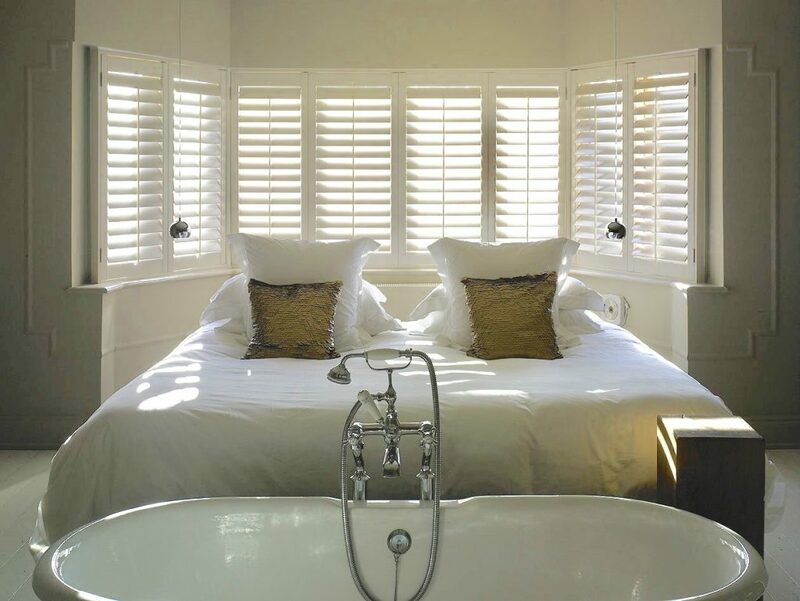 Plantation shutters are extremely appealing and come in a variety of sizes and finishes, as well as mounting options. They fit any interior design, offering a stylish and cohesive look. While white or natural stain sits well for a traditional look, interior shutters can be painted any colour with our colour custom service, offering a more unique and modern look. What’s more, plantation shutters look good from both the interior of your home and the exterior. Interior shutter blinds can be adjusted to let light in but unlike some window dressings, if you angle plantation blinds just right, you will be able to see out but others won’t be able to see in, allowing you to have privacy as well as light. When you angle your plantation shutters, you can adjust the slats to let the fresh air in and allow for maximum ventilation all while maintaining your privacy. Unlike mini blinds and other window coverings, plantation shutters don’t rattle due to air flow. Plantation shutters are brilliant insulators, resulting in lower energy bills. During winter, your plantation shutters provide an extra layer of insulation. In Summer, your interior shutters can be adjusted to deflect sunshine and cool down your home. Made-to-measure shutter blinds are durable and built to last. And because you won’t need to replace your plantation shutters every few years, your initial investment will pay off during time, making them less expensive than other window coverings such as drapes. Plantation shutters are less maintenance than other types of window coverings. Just a quick wipe down with a damp cloth from time to time is all interior shutters need. 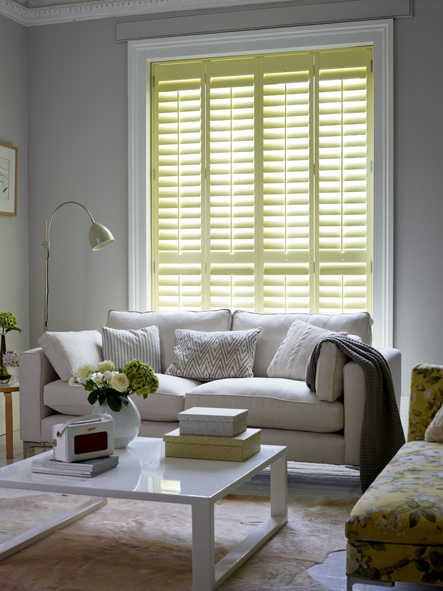 And because plantation shutters have a larger surface area than mini blinds, they’re much easier to clean. Plantation shutters don’t have dangling cords or strings so your children won’t get tangled up, making interior shutters a much safer alternative to mini blinds and drapes. Although a tad more expensive than other window dressings, plantation shutters are a good investment that will pay off in the long run. Many home buyers find interior shutters a plus when comparing potential homes. And the IRS consider installing plantation shutters as a capital improvement to your home, translating into tax savings when you’re ready to sell your home. Plantation shutters make brilliant room dividers and can be installed to cover cutouts and niches in your home. For example, if your home has a built-in niche for a television that’s no longer required for the new widescreen, interior shutters make a good new storage solution, securing the clutter while looking nice. Their attractiveness, light control, longevity, durability, energy saving and safety features are just a few reasons to consider plantation shutters. For more information, or to enquire about made-to-measure interior shutters for your home, call today Totally Shutters on 0203 960 69 63!